Recently, Ankai electric double-deckers arrived in Milan, Italy for operation. Measuring 12 meters in length, the double-decker has 70 seats. Colored in bright red, the vehicle is also decorated with pictures of the representative tourist attractions in Milan. In addition, it has voice tour services in eight languages, including Italian, English, Spanish, French and German. Passengers can press the alarm on board if they need to get off the bus. Those physically challenged tourists will also find the vehicle extremely friendly for their travel. With zero-emission standards, Ankai electric double-decker has an all-aluminum body structure and boasts a number of state-of-art technologies. After being recharged in five hours, the vehicle is able to drive for 250 kilometers continuously, fully meeting the daily operation requirements in Milan. Generating little noise and vibrations during its operation, the vehicle offers passengers unprecedented travel experiences. 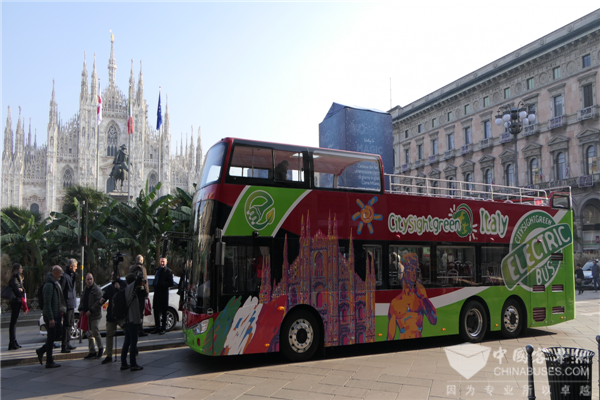 Currently, Ankai electric double-deckers have completed their trial operations in Milan and Florence. Soon, it will make its way to fourteen cities across Italy. 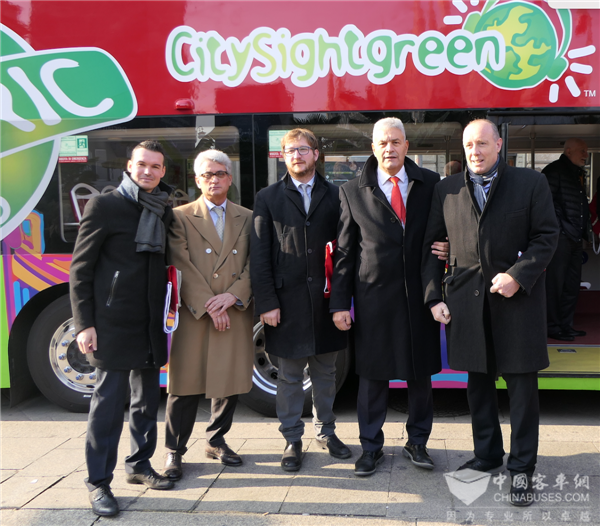 Bus operators in Italy have also expressed their satisfaction with Ankai electric double-deckers. To provide tourists better travel experiences and promote the sustainable development of its tourism industry, Italy has put paramount importance to building green public transport system. 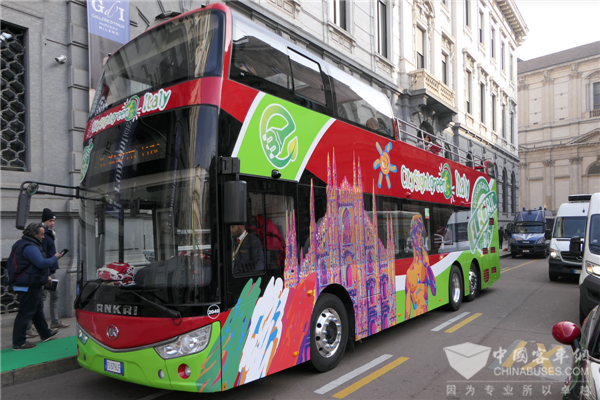 With its super-high reliability and awe-inspiring appearance, Ankai electric double-decker has successfully won the hearts of the bus operators in Italy. Apart from Italy, Ankai electric double-decker has made its way to Paris, paving way to its huge commercial success in Europe and other parts of the world.